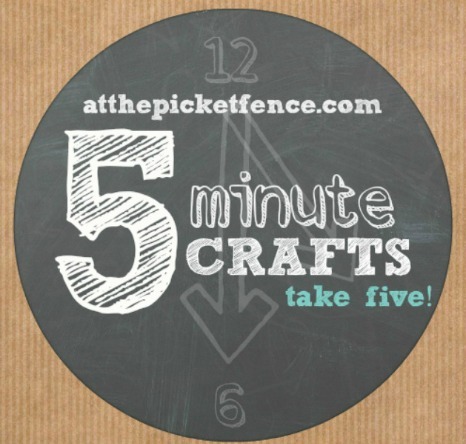 We’re so excited to be welcoming back our fabulous contributor Julie who’s sharing an easy-peasy craft with us today as part of our ongoing Take 5: 5 Minute Crafts series! Hi there At the Picket Fence friends! 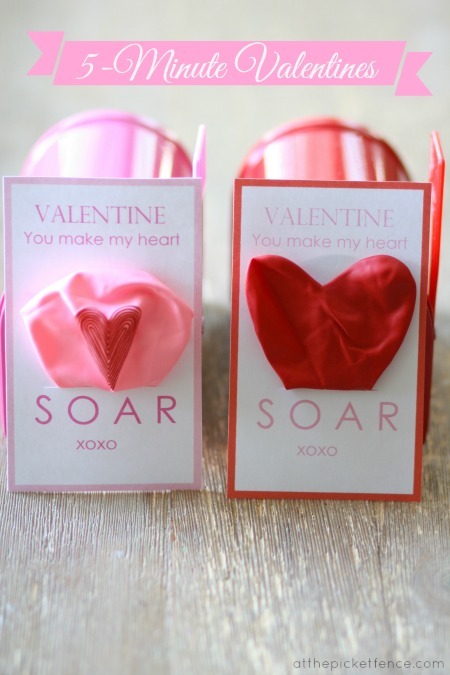 I’m so excited to drop in today with a 5-minute Valentine craft to help your kids share some love with friends, classmates, or teammates next month. 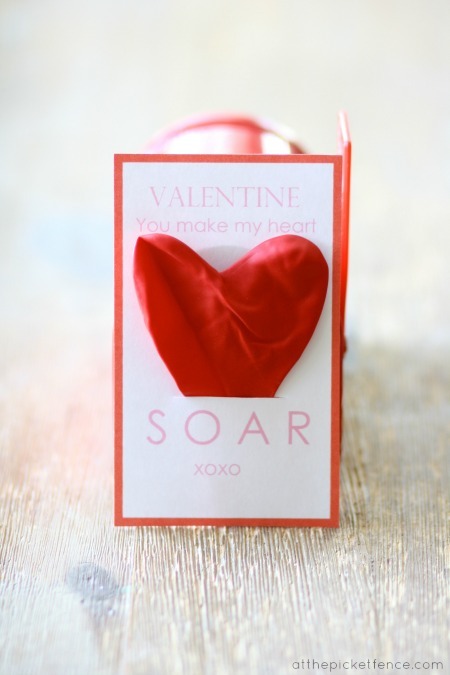 I love exchanging valentines but as my kids (and their class sizes) have grown I’ve realized that homemade valentines are only possible for us if they are fast, cheap, and easy. And since we are still working through our Halloween loot, a few non-edible valentines in my kids’ mailboxes are a welcome sight. 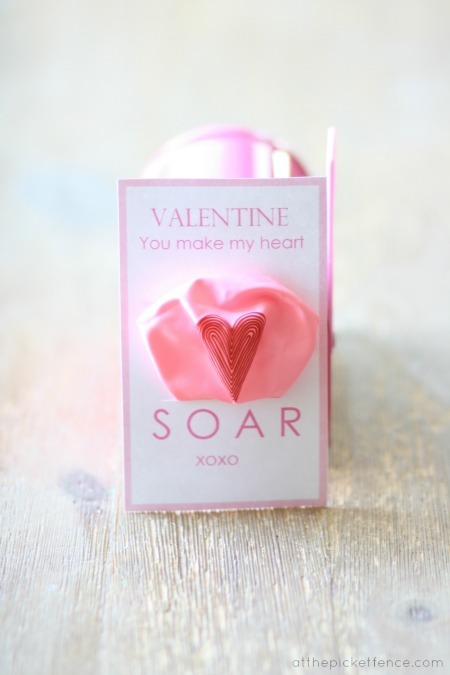 After printing & cutting out the Valentine printable on card stock, use an Xacto knife or the edge of your scissor to cut a small slit above the word “SOAR” and insert a balloon. With Valentine assembly this easy, the hardest part might be getting your kids to sign their name thirty times! 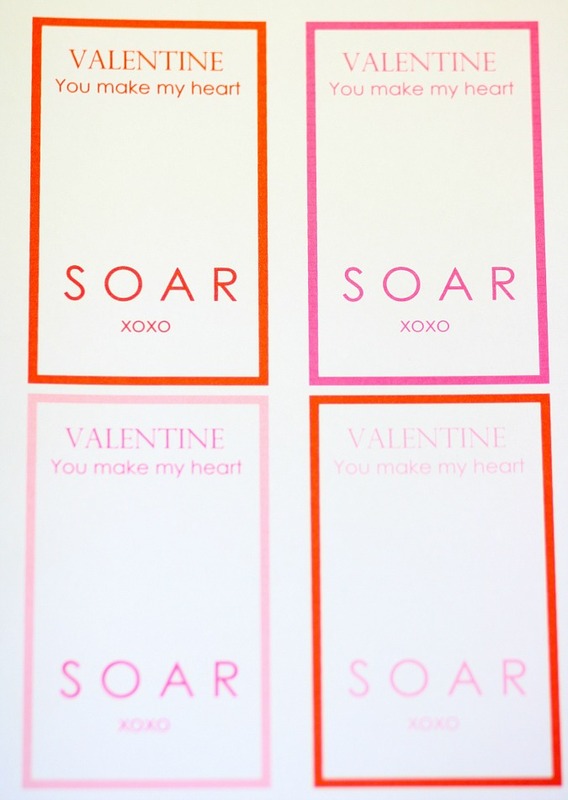 I’ve created a Printable version of the “You Make My Heart Soar” card and I’m happy to share it with you here! 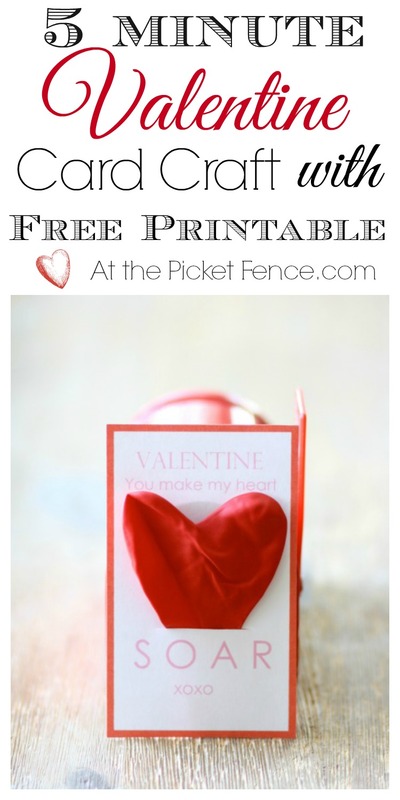 15 Comments on "5 Minute Valentine Craft and Free Printable"
What a cute idea! I think I’ll make these with my daughter because she’s at the age where balloons are the greatest thing since fruit snacks! Absolutely adorable! Maybe for my “grand” ones? 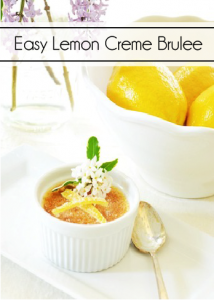 I love the idea of quick projects like this. I could have used this project when my kids were young, because I’m from the school of “we make everything by hand.” Thanks. These are so cute! I wish I could do something like this but there is a latex allergy at my son’s school so no balloons allowed. I’ll come up with something else, but I love yours! You are the best! These are so cute! Love the font you used! There are so many wonderful DIY valentines out there and these two are at the top. 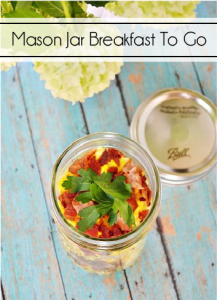 Super cute idea – and what a fun play on words, I am so bad at coming up with those! 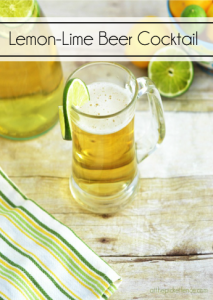 But I guess I don’t have to because you did it for me with a printable! Thanks!